The Killer iPad and iPhone App: Flipboard | Stahancyk, Kent & Hook P.C. 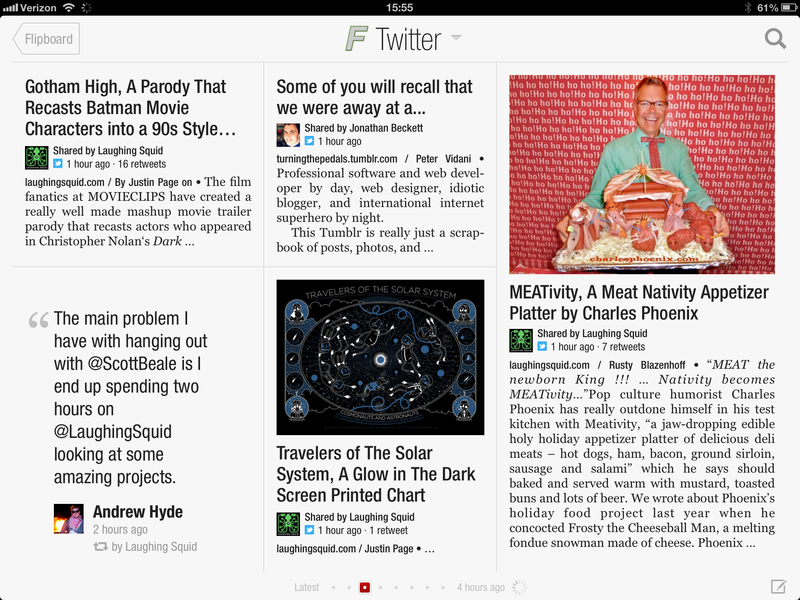 If you love news and information, Flipboard is the killer app for your iPad and iPhone. 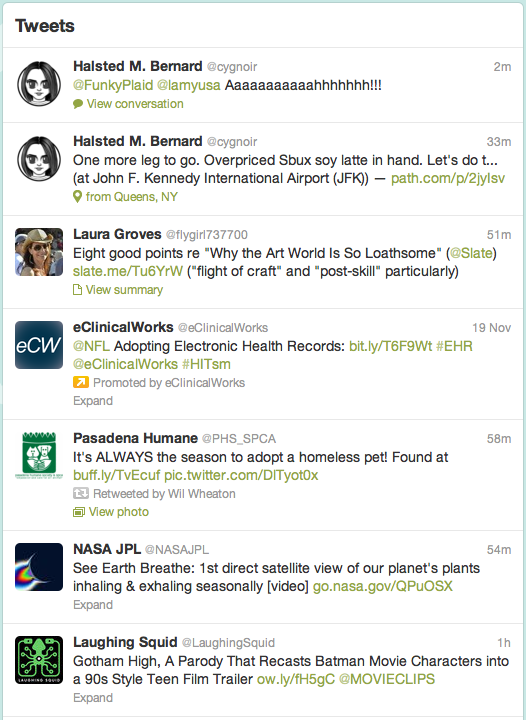 It gathers up news feeds known as RSS along with Twitter feeds to give you all the things you are interested in. What sets this app apart is that it presents articles, tweets, and feeds to you in a pleasing, familiar magazine-style format, while retaining the interactivity and inter-connectivity we expect when using the web. Flipboard takes a plain-Jane boring Twitter feed, as shown on the left, and turn it into a interesting online magazine, as shown below.